Moving to her grandparents’ old neighborhood of Alberta Avenue in Edmonton, Alberta—a walkable hub to family and cultural spots—was an easy decision for Carissa Halton and her husband, Mat, even if the area was low income. Their family grew there; they set down strong roots. Halton clearly delights in interacting with people from all walks of life; her interest and empathy sparkle throughout. Her tone is factual, nonjudgmental, and often wryly funny. Little Yellow House is a balanced presentation of a diverse community in transition, complete with faults and growing pains. While she and other neighborhood activists work on projects to combat dilapidated properties and drug houses and to support school and local arts programming, she is clear-eyed about the dangers of gentrification. 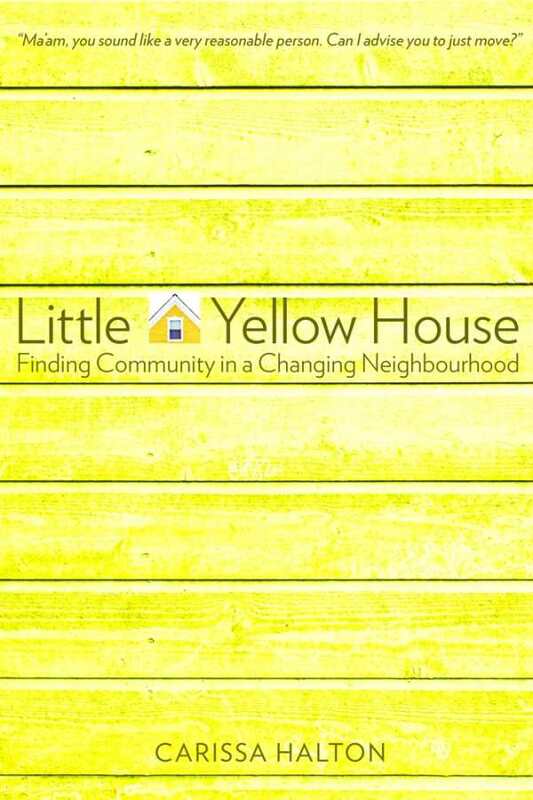 Little Yellow House shows how real, sustainable community development can be built with a formula of persistent action, engagement with a wide group of allies, trust, layers of incremental successes, and a good sense of humor.